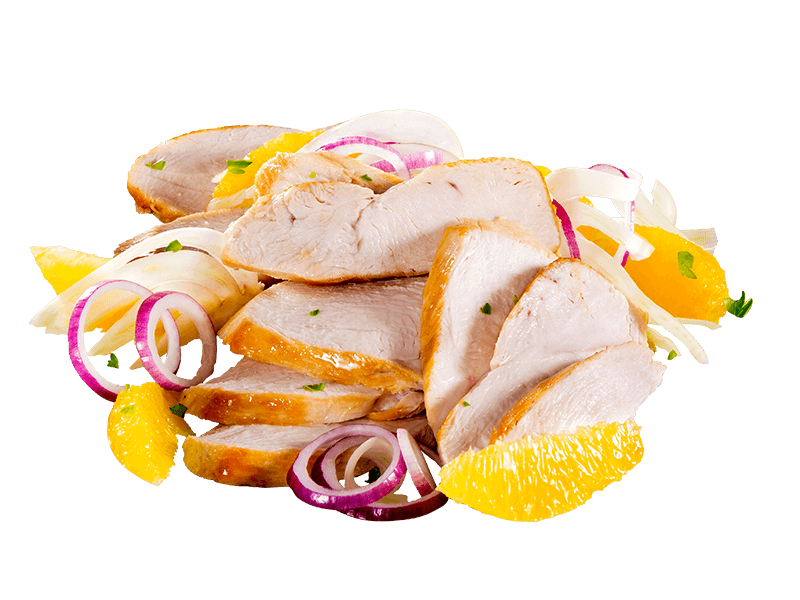 Tasty julienne chicken breast to add to salads or to create crispy, light dishes when served alone. It takes just two minutes in the oven before serving. 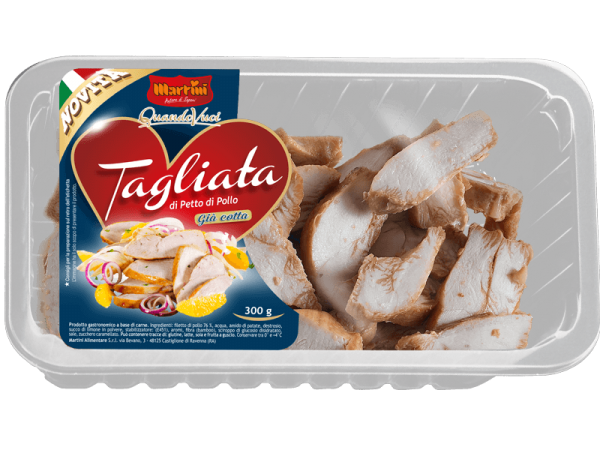 Chicken fillet (76%), water, potato starch, dextrose, powdered lemon juice, stabilizer: E451, herbs, fibre, dehydrated glucose syrup, salt, caramelized sugar. It may contain traces of milk, soya and nut.